Victory 18 (3VICT18) is a heavy-duty laminated CPSIA vinyl with a quality high sheen taffeta emboss suited for gym divider curtains, which is available in several popular colors. This sturdy PVC fabric is designed to meet the necessary standards of the athletic industry with treatments against UV rays and mildew. Additionally, this vinyl is fire retardant and is certified to meet the standards of California State (CSFM-19). 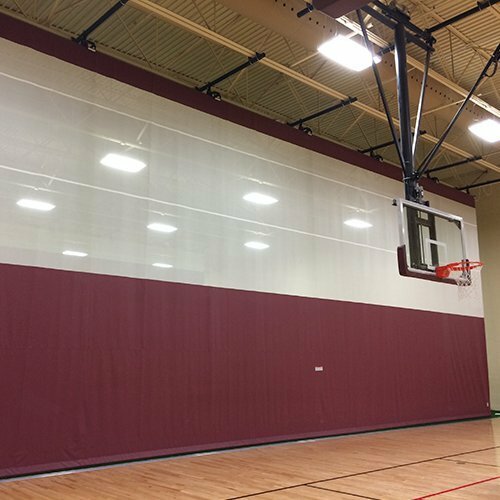 It is also is CPSIA certified, meeting all phthalate and lead requirements, assuring your gym divider curtains are safe for kids.